Paralympic hockey great Greg Westlake isn't comfortable talking about himself. But when his name is brought up to other Canadian athletes, they will quickly point out that his influence stretches across all Paralympic sports. In 2011, Michelle Salt was in an Edmonton hospital bed lucky to be alive. After a horrific motorcycle accident, she had endured multiple surgeries but doctors were unable to save her left leg. She was told she would never walk again. In the haze of the life-altering news, Salt, a longtime athlete before the accident, focused on one thing. "I decided I wanted to become a Paralympian the day I came off of life support," Salt says. "Everyone was like 'you are heavily medicated we will talk about this later.'" Her roommate happened to know somebody who knew a few things about the Paralympics. Greg Westlake was in Edmonton when Salt's roommate called — unusual since the longtime captain of Canada`s Paralympic hockey team lived and trained in Toronto. He had never met Salt but quickly came to the hospital where talk quickly shifted to Salt's unformed Paralympic ambitions. "His advice was so important to me. He said go on the website and pick sports you want to try," Salt recalled. "Snowboarding wasn`t actually an event yet, it was a late addition. He also told me realistically it would take three years to get on to a national team and five years to make it to a Games. Fast forward to the 2014 Games and I'm standing next to Greg walking into [the] opening ceremonies and he says to me 'I knew you were going to do it, I just didn't think it would be this soon.'" Stories like this are why Westlake is one of those names in sports that makes fellow athletes stop and smile. Westlake isn't comfortable talking about himself and is unsure why his words seem to resonate. "I have no idea. I speak from the heart, I'm very passionate. I love this, I love my sport, I love the people around me," Westlake said. Westlake, who was born missing both feet, said his family never focused on his disability and offered only encouragement. It has become the core of his message to others. "I think I'm so lucky because it's all I ever knew and so for me, meeting all these incredible people who have battled all this adversity and come out the other side great people, I think I owe it to myself just to sleep well at night to go share those stories and make sure that other people are appreciated for what they've done and contributed, and that's what takes me to some rehab centres and hospitals." Westlake's unparalleled success on the ice obviously gives his message resonance. He is not an athlete who has simply participated. 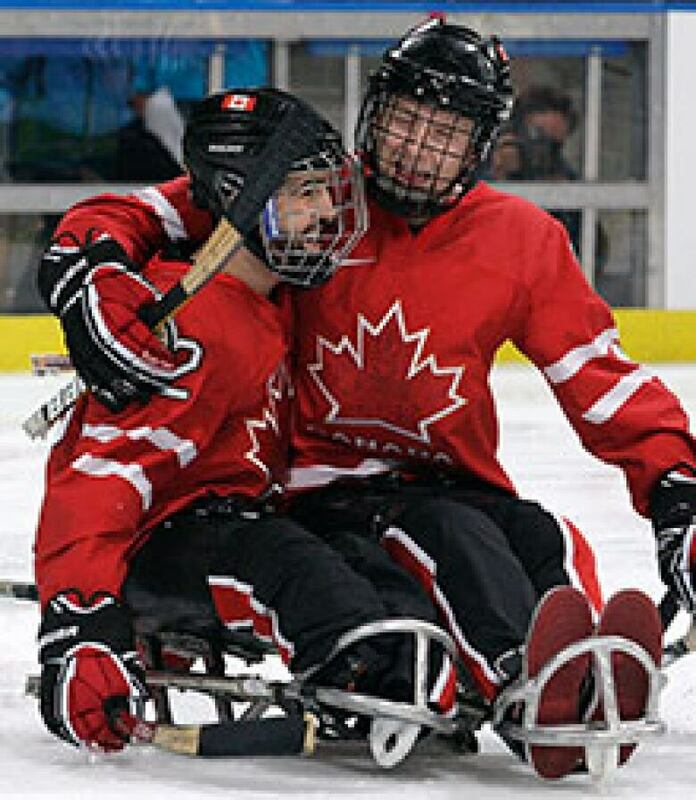 Instead, Westlake has been the backbone of para hockey in Canada for the last decade. His accomplishments and accolades are lengthy. The Games in Pyeongchang will mark the Canadian captain`s fourth Paralympics. He was part of gold-medal winning team in Torino in in 2006, and most recently in Sochi, led the team to a bronze medal. 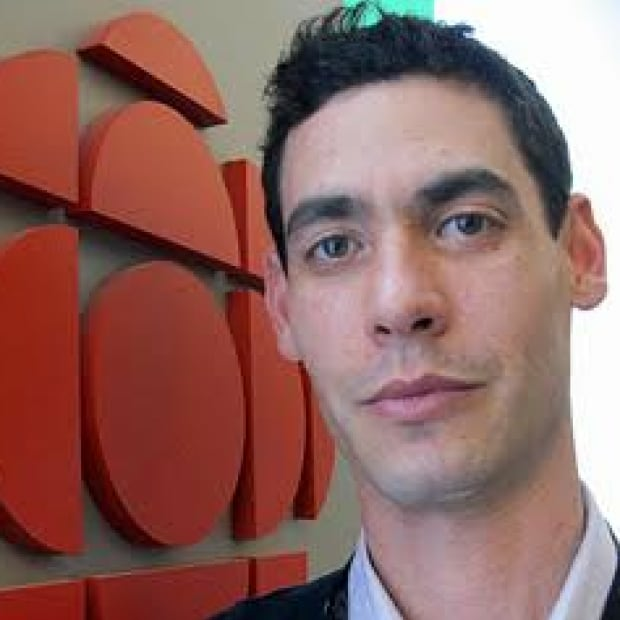 He has also represented Canada at seven world championships, capturing the title on three occasions. Westlake hasn't decided whether these Games will be his last. "I mean we'll see what happens. I'm having a lot of fun right now. I'll never say never but we'll see what happens. I'd like to move on and start doing some life stuff but I'm having a great time playing hockey." If Westlake does decide to move on to his next chapter, his presence and more importantly his words will be missed in the dressing room. Hockey players don't often get emotional talking about a teammate. "He is a great leader and a great captain," said defenceman Adam Dixon, who has played alongside Westlake for more than a decade. "He has mentored me and I have looked up to him for a long time. He has taught me a lot of life lessons and a lot of hockey lessons. There are countless things I have learned from him." "He's such a Canadian hockey player and he's willing to do whatever it takes to win on any given night. And I've been fortunate to learn from Greg now for five years," added winger Tyler McGregor. "He's done so much for the sport. He's been someone who's driven it forward in terms of growing the sport off the ice." Westlake said it's the only way he knows. "You have to genuinely care about people and I've said this about my teammates before, I hope we win 20 gold medals but I also hope that we have a bunch of guys who graduate from university, have good jobs, have happy and healthy families, and you know, at the end of the day I think that's what brings you real happiness is having that bond." He will continue to fight for para athletes, pushing to blur the lines between the Olympics and the Paralympics that usually happen a few weeks later. "I don't get it. You know it's supposed to mean parallel to the other Olympics but we're not parallel to the Olympics. We're two weeks after and it's a weird setup," said Westlake. "I'd run them at the same time. I know it's a touchy subject especially with the Olympic committee and it's a logistical nightmare as well. I think in a perfect world, we get to the point where we're in there together and it's just competition and I think if you ever did that, what a way to make Canadians care about Paralympics if our medals counted towards the medal count. 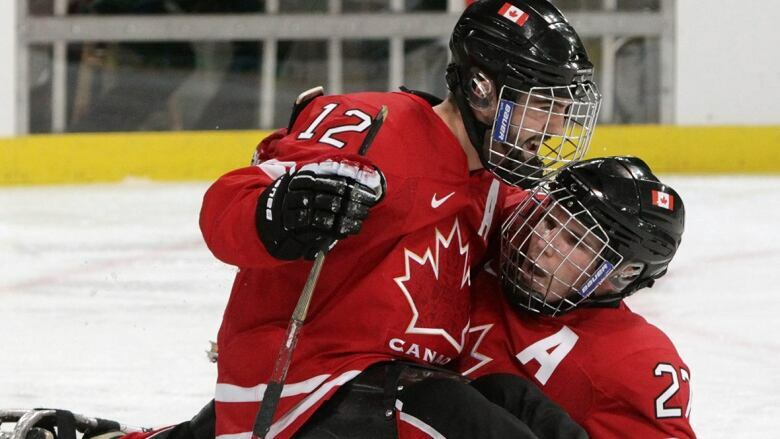 All of a sudden, if the sledge hockey gets a medal in the medal count, I think that would be a really cool thing." Westlake will also continue to offer the guidance he's given to Salt and countless others: pick a sport and give it a try. "It's a lot of fun and I say this when I do a school visit or when I meet new people, you don't have to have a disability to try a sport," Westlake said. "You could jump in a sled and play like, you and me if we sit in a sled, we're on an even playing ground. Don't just pretend to do it in your gym, go to the rink, get on a sled. Go to the rink and curl for a bit, wheelchair curl. Play a game of wheelchair basketball. You don't need to be disabled to try any of these things." Those are big words from one of the giants of Paralympic sports. "One of my goals personally is whatever you have, leave it better than you found it and I think we've done that here."